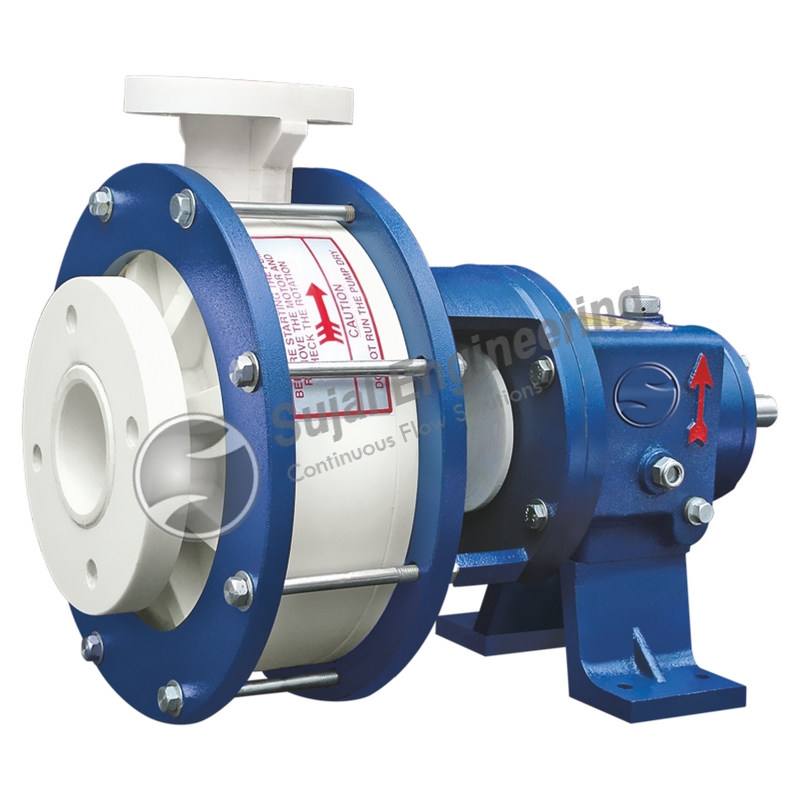 Sujal Engineering is a leading manufacturer of SPP Series – Known as Polypropylene Pumps. Our polypropylene pumps are designed especially for high corrosive chemicals where metal are not recommended or its cost is high. This pumps are centrifugal corrosion resistant with horizontal radially split one piece volute casing design fitted with semi open impeller single entry single stage for smooth running performance against corrosion according to the standards. In polypropylene pumps high alumina ceramic sleeve is used to protect shaft from any type of corrosion and abrasion. Mechanical seal prohibit the leakage from the pumps and best cast iron heavy duty oil lubricated bearing housing helps for achieving maximum strength of pumps. M.O.C. :PP, GRP, PVDF, UHMWPE etc……. Low maintenance due to minimum components. Leak proof and also run dry without damage in rotating parts.